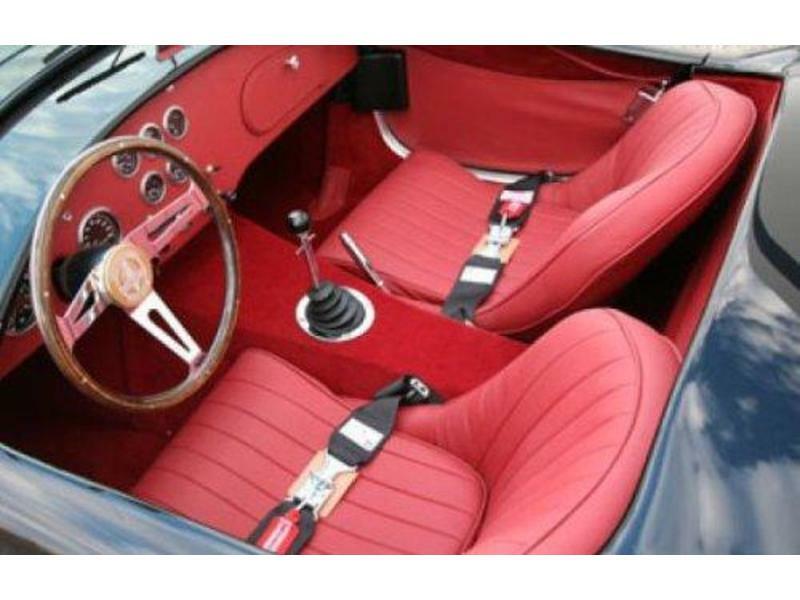 If you've ever wanted a ground floor opportunity to own a true collector car, you won't find a better one than this. 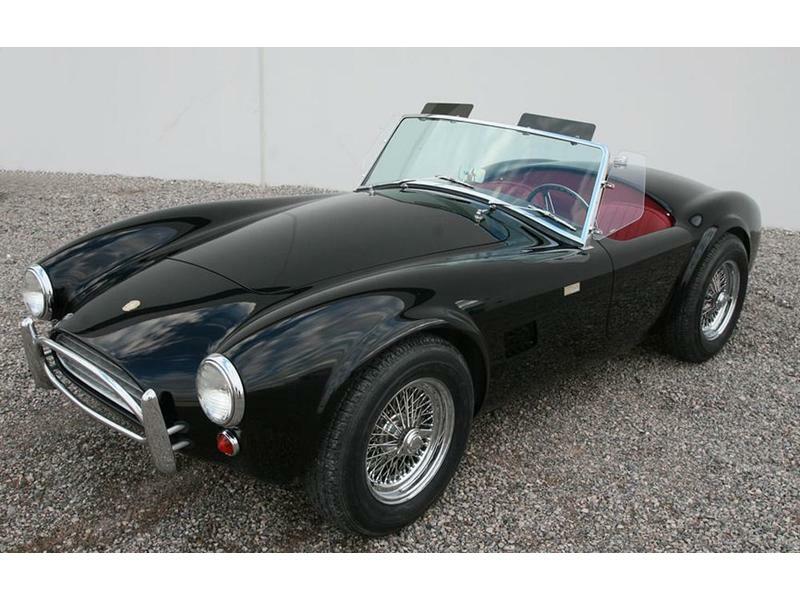 Shelby American has manufactured fifty, 50th Anniversary CSX8000 series Shelby Cobra street cars, sold as a rolling chassis. 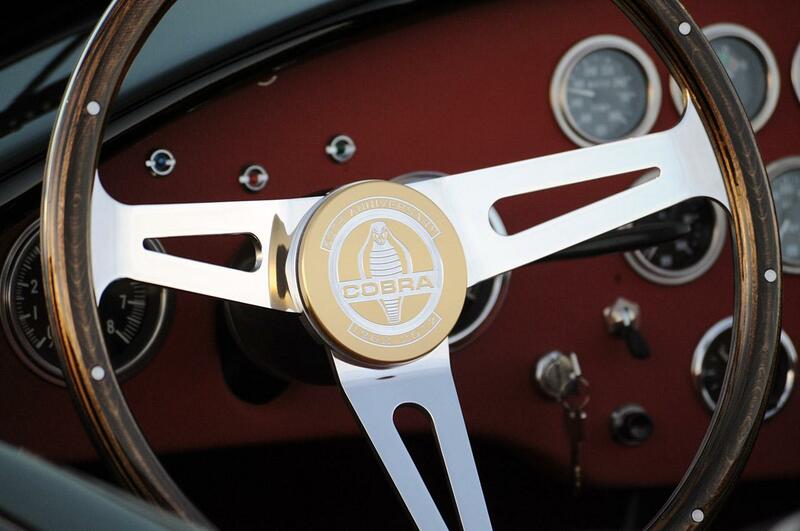 The entire production run sold out at the Barrett Jackson auction in 2011 in 48 hours. 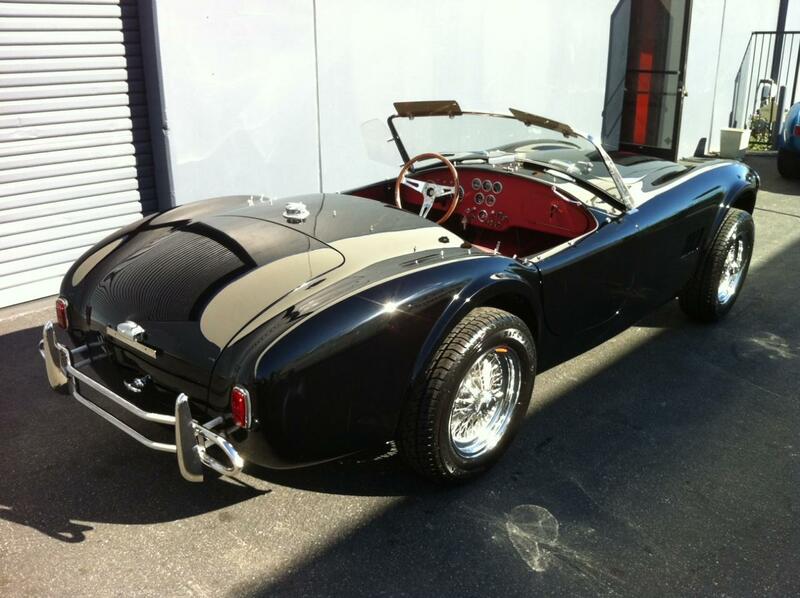 One of our customers who ordered a 50th Anniversary rolling chassis at the auction has decided to sell. 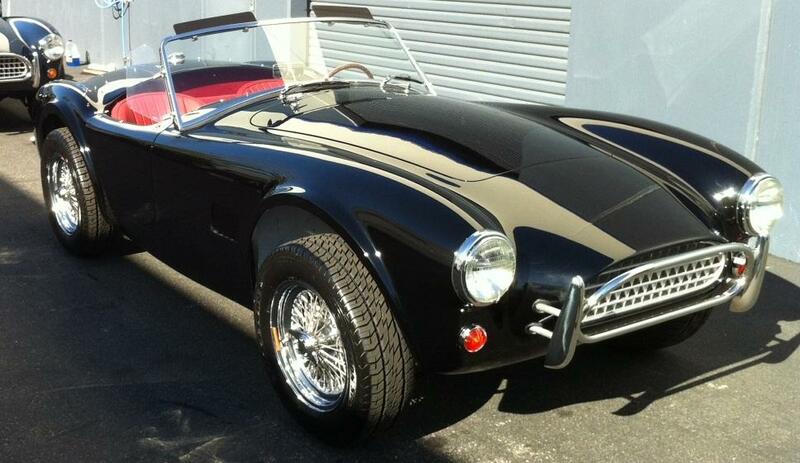 As a result, this authentic Shelby Cobra is now for sale, in "turn-key minus" condition. 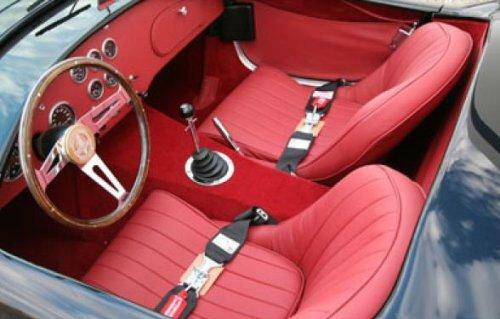 That is to say, it is complete except for installation of the engine and transmission. 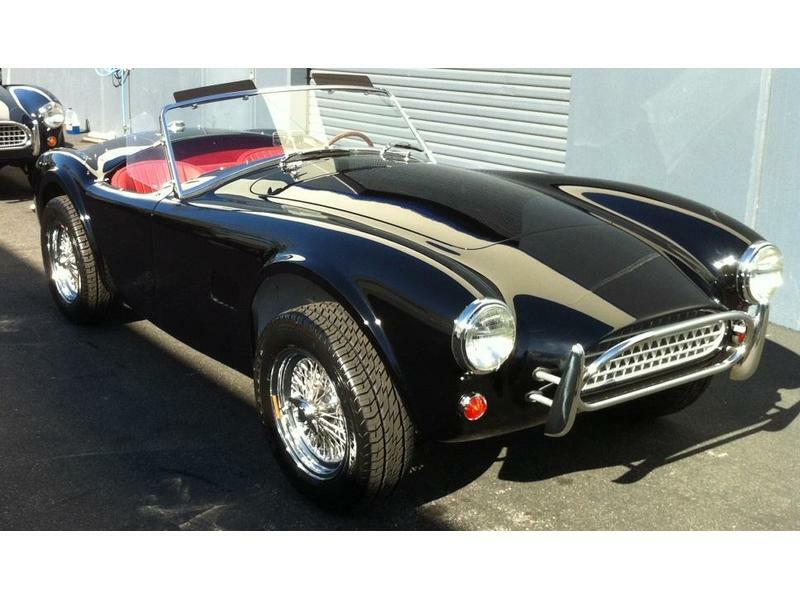 Like all of Shelby American's 50th Anniversary models, this one is painted black with Russo Red leather interior. 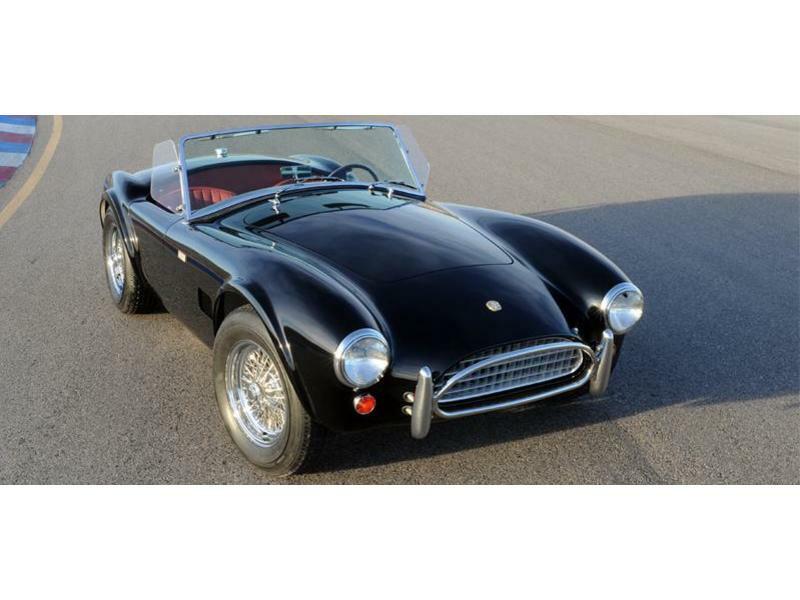 Equipment on this fiberglass body Cobra includes 3" main tube frame, transverse leaf suspension, rack and pinion steering, Shelby brakes, Shelby gauges, Shelby posi-trac differential with independent rear suspension and a 3:54 to 1 ratio - perfect for street use. 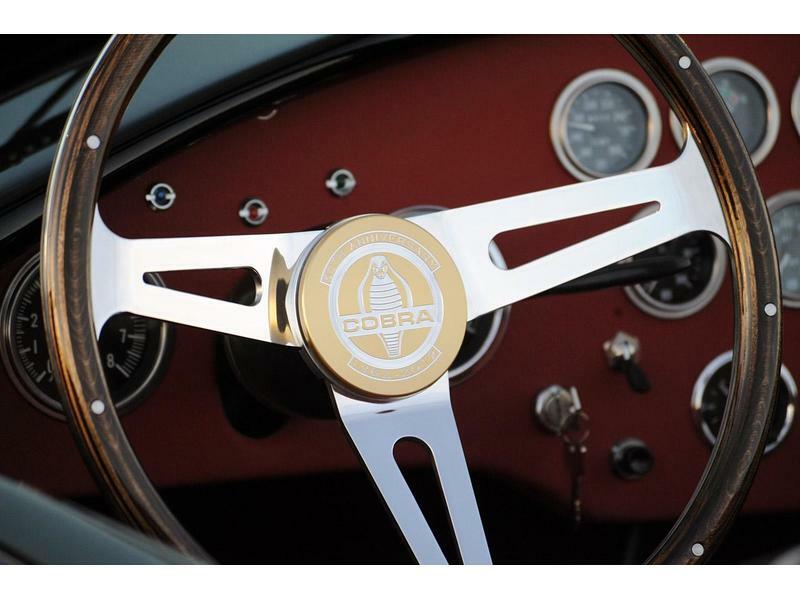 Additional equipment includes an aluminum radiator, stainless steel fuel tank, original style, chrome, 72 spoke 15" wheels, chrome knock offs, Goodyear tires, 15" wood steering wheel, polished stainless steel bumpers, glove box, and 50th Anniversary badges and emblems. You can decide whether you want us to finish the car for you by installing the engine and transmission, or you can organize that process yourself. 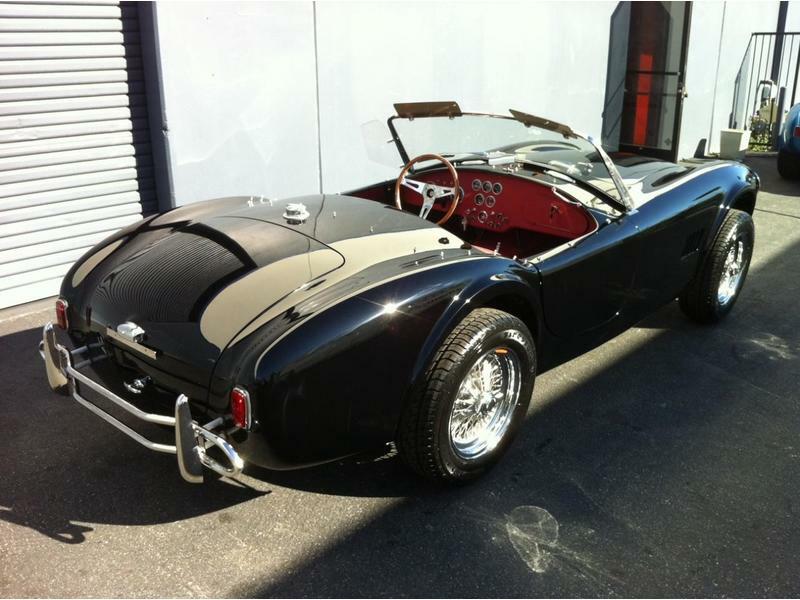 Contact us for the CSX serial # of this new Shelby American 50th anniversary edition Shelby Cobra. 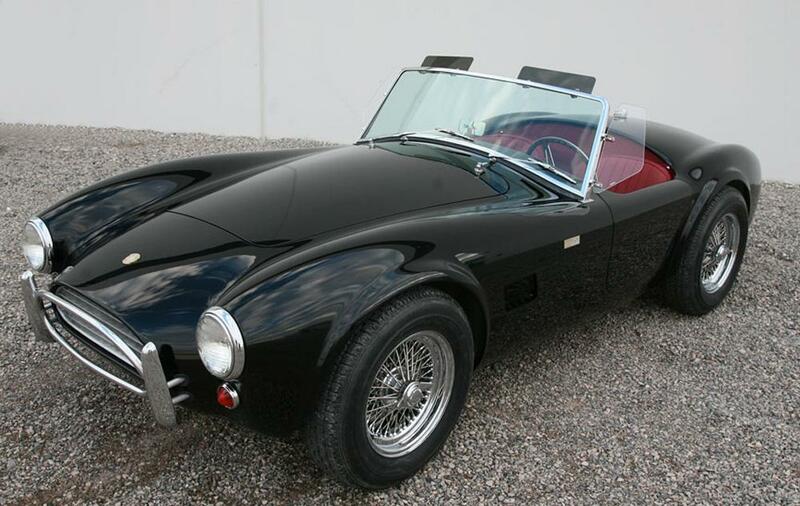 Don't miss this rare opportunity to own one of the world's most desirable collector cars!